I have another recipe from my mom’s kitchen to share with you. I don’t know about you but I would love to go to Hawaii right now. I could kill for warmer weather, laying out in the sun on the beach. I have never been, but I tell me husband all the time that someday we are going. My mother in law just got back from Hawaii a few weeks ago. All her pictures were beautiful. 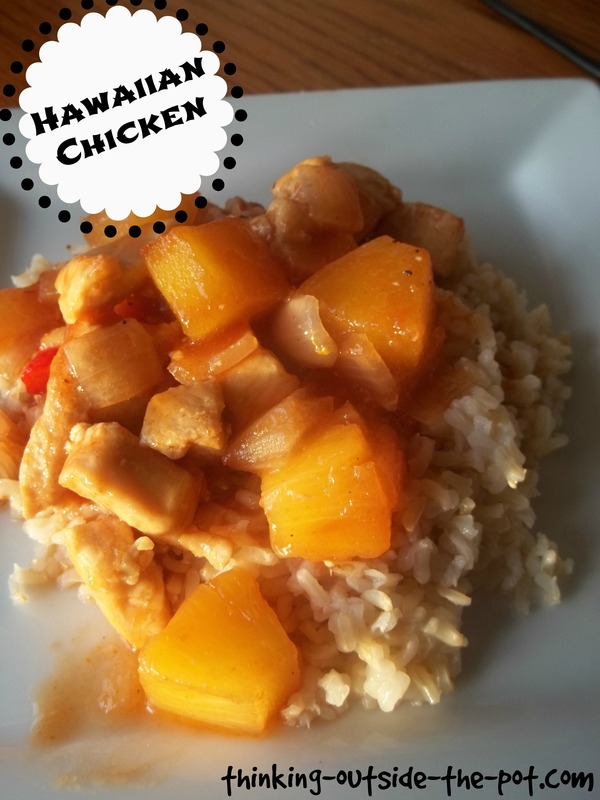 I thought making Hawaiian chicken would be the closest thing we were going to get to Hawaii today. This chicken is so easy to make. I love how moist the chicken is in this recipe. The sauce is slightly sweet, but not too sweet. My entire family really enjoys this recipe. I hope you enjoy it as well.